...but in this harsh reality, sometime i'm so despondent that I feel the need of a Room of Requirement! Located on the seventh floor opposite an enormous tapestry depicting Barnabas the Barmy attempting to train trolls for the ballet, the Room of Requirement appears only when someone is in need of it. To make it appear, one must walk past its hidden entrance three times while concentrating on what is needed. The room will then appear, outfitted with whatever is required. 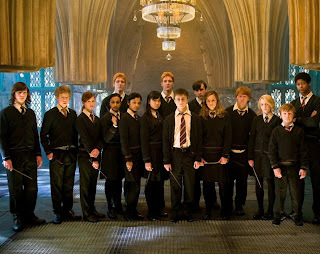 To the Hogwarts house-elves, it is also known as the Come and Go Room. Contohnya, saat seseorang kebelet mau ke toilet, maka Kamar itu pun menjadi toilet.